Taylor Swift; NYCC '18; Flash/Black Lightning; Suicide Squad's Gunn; MWIR 7pm ET - Afronerd: The Blerd Revolution Has Begun! Greetings, fellow AFROnerdists! 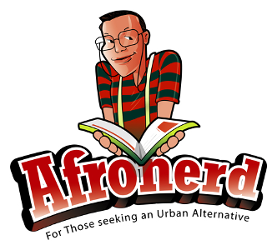 Listen to the latest installment of Afronerd Radio's Mid Week in Review airing this Wednesday at 7pm eastern. Join your favorite AFROnerdist team as they tackle the following (mid) weekly issues: singer, Taylor Swift gets threatened with a boycott for essentially revealing that she is a liberal due to her support of several TN Democrats and therefore not upholding "country" values; weighing in on the TV premieres of the CW's Flash (S5) and Black Lightning (S2), respectively; more on NYCC '18; our thoughts about the announcement that director, James Gunn after getting fired from Marvel's GOTG has rebounded with the WB's Suicide Squad franchise; actor, Ruby Rose's CW Batwoman costume reveal hits the cyberwebs; perhaps Venom spoiler talk and the possibilities for a sequel; actor, Michael B Jordan (Black Panther, Creed) gets critiqued for his Vanity Fair interview where he posits that there's a dearth of Black mythology and that AA need to create their own folklore (he's not exactly right but he's on to something); Johns Hopkins University names medical building after Henrietta Lacks; our thoughts on the guilty verdict levied against the police officer that killed Laquan McDonald; And lastly, Dburt has a fit over the inanity of Black skin tone politics with the latest controversy regarding the marriage of Beyhive matriarch, Tina Knowles. Call in LIVE at 646-915-9620.